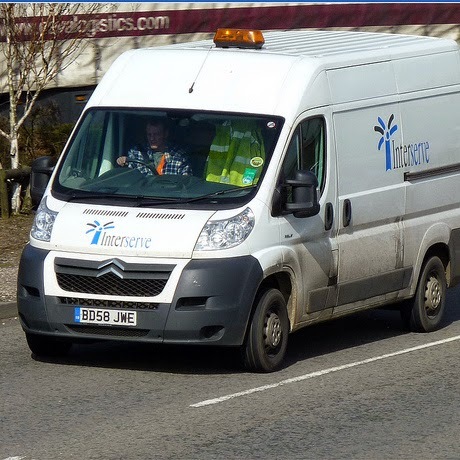 The Dividend Drive: BUY: Interserve--A brisk service for dividend growth? BUY: Interserve--A brisk service for dividend growth? Recently I picked up some shares in the services company, Carillion. I am therefore a little surprised that I am looking so soon to add a further services company to my portfolio. But I am. Who is it this time? The company in my sights this time is Interserve. Like Carillion, Interserve is another highly visible multinational services company. It is about 50% smaller than its fellow FTSE 250 peer, but growing quickly. Interserve has been on my radar since I discovered its impressively consistent progressive dividend policy. Interserve shared with its sector peer, Carillion, a long record of continued dividend value improvements. Now, admittedly this is not a stonkingly huge dividend growth rate over this period. It is only about 4.3% annualised. this is about half of Carillion's growth rate. Nonetheless, it is consistent. There are no held dividends or cuts; just a consistent run of growth. Nonetheless, the slower rate of growth has resulted in a smaller yield than Carillion. Whereas Carillion offered a chunky 5% yield, Interserve shows a more modest 3.42% yield. This is about on the money for the whole FTSE 100. However, although by no means a small yield, this does not tell the whole story. So what is this untold story? It is that, unlike Carillion, Interserve is set to serve up a heftier rate of dividend growth in the near future. Four times as fast, in fact. Whereas Carillion is predicedt to offer a 2% and 1.3% rise for this year and next, Interserve is pencilled in with a 7.9% and 8.45% growth. On these predictions, Interserve will be cracking the 4% yield on current cost by the end of next year. What is more, the recently announced interim dividend hike for this year bodes well. Whereas most predict an 7.9% increase in yield this year, the interim dividend was hiked 10%. If this is mirrored with the final dividend we would have a dividend of 23.65p per share. This would be a yield of see a yield for the year of 3.77%. Not bad at all. What is more, its growth more generally is looking very bright and exciting. The consensus prediction is for a 16% and then 18% earnings per share (EPS) growth for this year and next. Again, even with the lowest prediction we have a P/E ratio of 9.86. Very much into what I would see as a bargain buy. Similarly, when we factor in the growth--even using the lowest predictions--we have a PEG ratio of under 1 for both years. This screams pretty splendid value. Also, when considering the above predictions, the dividend appears in a very strong position. With the current dividend predictions--23.3p and 25.16p per share for 2014 and 2015--plugged in we see that the dividend cover is safely over the excellent 2 times. Indeed, it grows from about 2.3 times to 2.5 times for 2015. That is very good indeed and suggests the prospect of further, well covered dividend increases in the near future. Interserve also has a healthy debt level. Although debt has grown about 5% since 2009, we still have a debt to equity ratio of 0.33. This is lower than Carillion's. So how does this new purchase fit into my investing goals for the year? Well, with regards to dividend yield for my portfolio this should be fine. I am currently running well ahead of my 3.5% target and Interserve does not drag that down much. Certainly, even if they only hold the Final dividend at the same level as last year rather than growing it with the forthcoming interim dividend the yield would be above 3.5%. So, in that regard it is excellent. What is more, whereas it may not add much to raising my portfolio yield it has a striking effect on my volatility. Another of my targets is to get a portfolio with a Beta of less than 0.9. Currently, I am just about achieving this. However, Interserve will provide sterling service in this regard with a tremendously low Beta of 0.29. Overall, I am very happy with my Interserve addition. It fits into my goals nicely and shows great promise in the short term which hopefully will continue beyond that. However, I am aware that the services sector can be very volatile. I will thus keep an eagle eye on the stock in the future. What do you think of the services sector? Do you hold similar stocks?